After two backtoback top 5 finishes in the LPGA, Ariya Jutanugarn is back on the Ladies European Tour. The Thailand’s No 1 golfer tees off in the World Ladies Championship staring today at the Mission Hills Haikou in Hainan, China. Rising to No 40 in the world rankings this week, following a fourth place finish in the HSBC Women’s Champions in Singapore on Sunday, the 17-year-old Thai is one of the strong contenders to steal the show at the par 72, 7,297 yard landscape. The LET rookie, who won the qualifying school in Morocco in December, is making a huge name for herself in her first season as a pro having already clocked up two runnerup positions at a Ladies European Tour in Australia and at the Honda LPGA event in her home country a fortnight ago. The teenager tied for second behind Karrie Webb in her professional debut at the Volvik RACV Ladies Masters in Australia. 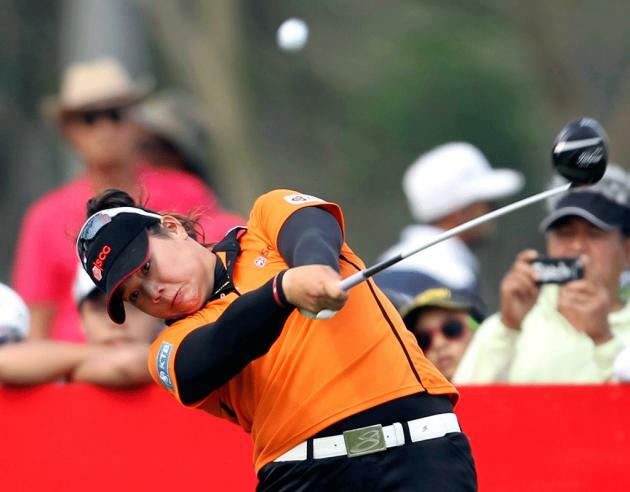 As a sponsor invite player, Ariya narrowly missed out on earning a maiden victory in her home event at the Honda LPGA Thailand, when Korean Inbee Park benefited from a triple bogey from the Thai on the last hole to run away with the title. In her other two LET performances so far this year, Ariya tied for 25th in the ISPS Handa New Zealand Women’s Open, won by her former amateur rival Lydia Ko and, after receiving a sponsor’s invitation to last week’s HSBC Women’s Champions in Singapore, Jutanugarn finished fourth behind winner Stacy Lewis with a final score of 10 under. Ariya’s older sister Moriya Jutanagarn, an LPGA rookie at 18, and 23yearold Pornanong Phatlum all finished in the Top 15 at the showpiece event often referred to as "Asia’s major." Moriya meanwhile is resting this week before flying to USA next week for the LPGA RR Donnelly Founders Cup and KIA Classic. "This year has been better than we could have hoped for and it’s great for me and Moriya and of course women’s golf in Thailand in general. Pornanong played well too and it really feels like the start of something special. If we can help take Thai golf to the next stage then we’ll all be very happy, " said Ariya. Her incredible results strongly suggest that she is amongst the new generation of superstars in women’s golf taking the game by storm this year and she is currently leading the LET’s Rolex Rookie of the Year standings, by 5,897 Euros from Australian Nikki Campbell, also playing in her first season as a member of the tour.